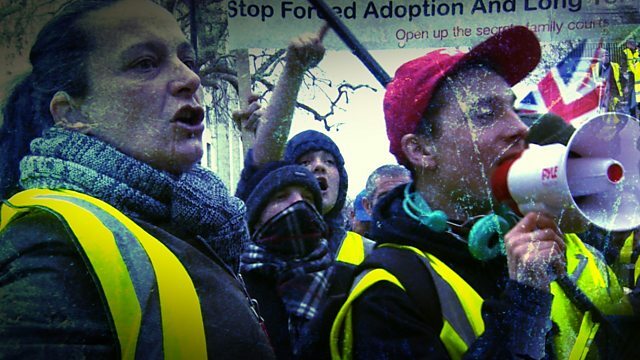 For several months, protesters wearing high vis jackets have been holding small rallies and protests every weekend in various towns and cities across Britain. Inspired by what’s been happening - on a much larger scale - in France, these self-dubbed yellow-vest activists have a wide range of demands and grievances. Fulfilling Brexit is prominent, so too is the belief that, last year, the authorities covered up the murder of three teenagers in west London. Newsnight has been told that the far-right, which has traditionally been fragmented in the UK, is coming together under the banner of the yellow-vests to try to create unrest. This report is from Katie Razzall and Yasminara Khan. Extinction Rebellion: Will protests force change?